Although approval was obtained as far back as 1940, it was not until 1947 that documentation for land acquisition was completed and paid for. 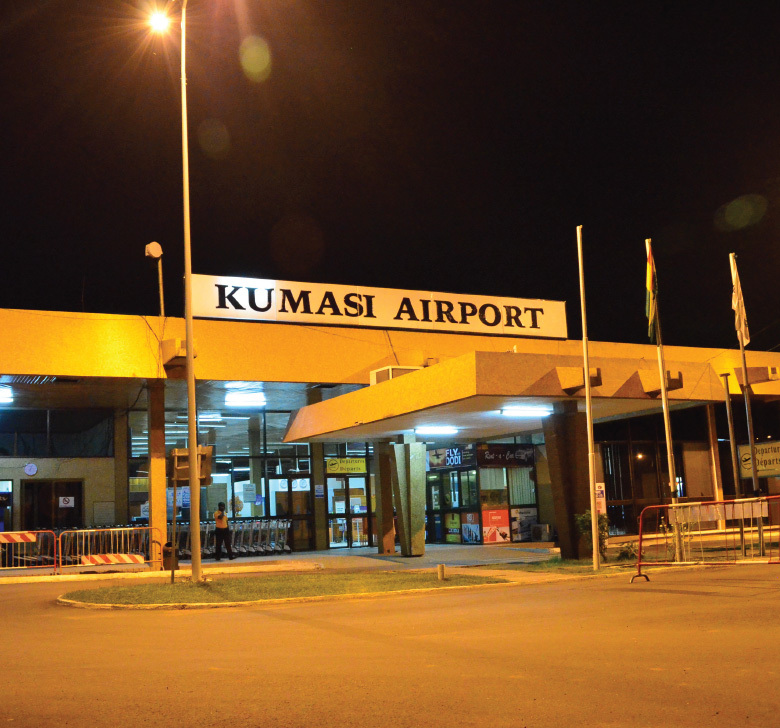 However by 1943, Kumasi Airport had been completed. There were extensive developments in 1958 and 1959 by the Ghana Government on the runway, navigational facilities and human resource to enhance internal airline operations. The installation of runway and taxiway lights and the extension of the main runway to the southern part in the late 1970’s was another major improvement to the Kumasi Airport. Whilst the lights enhanced night operations, the extension of the runway enabled operations of short haul jets like the F28. The building of a new Terminal and the installation of a VOR/DME commissioned on 1st December 1993 completed the modernization process. In 2003, Kumasi was declared an International Airport primarily for regional operations with the full complement of Security, Customs and Immigration staff. 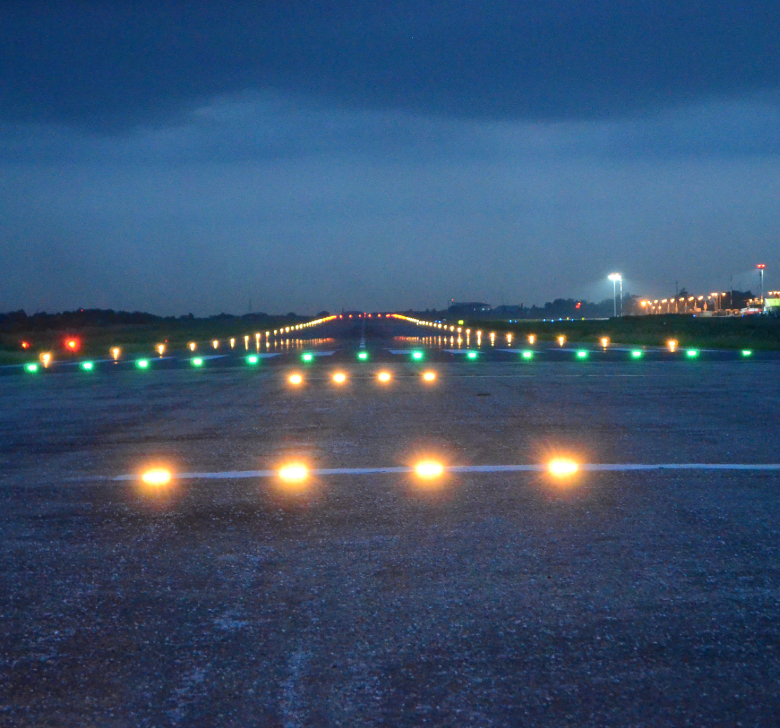 In December 2014, the newly rehabilitated runway installed with Aeronautical Ground Lighting Systems was inaugurated. This paved the way for domestic airlines to commence night operations.. Currently, Master Plan studies for the airport is on-going. Some projects planned in the next phase include the construction of additional parking aprons, extension of the runway and the construction of a new terminal building. 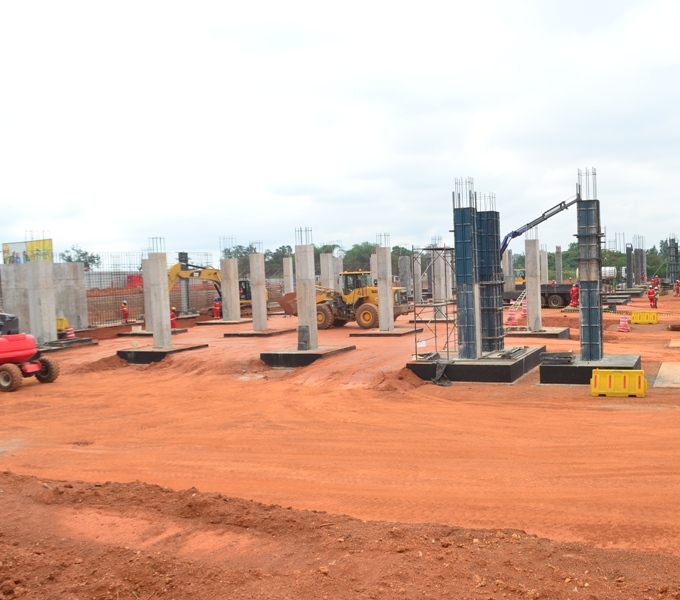 The construction of the Kumasi Airport Phase 2 project has commenced in earnest. The project involves the extension of the runway from 1981m to 2300m to accommodate Boeing 737-800 series aircraft, construction of a new terminal, construction of additional aprons and other ancillary works. On completion, the new terminal will have the capacity to handle one million passengers per annum.